Timothy Lu is an Associate Professor in the Department of Electrical Engineering and Computer Science and an Associate Member of the Broad Institute of MIT and Harvard. Tim received his undergraduate and M.Eng. 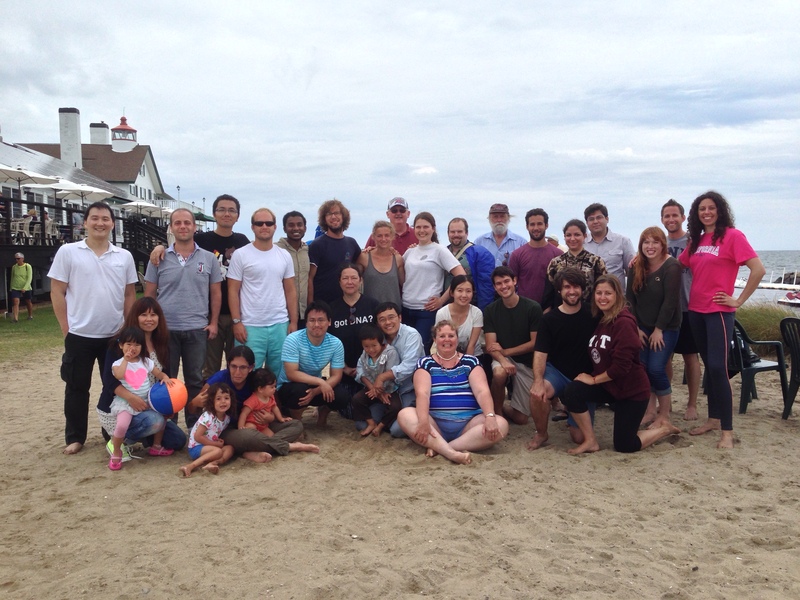 degrees from MIT in Electrical Engineering and Computer Science. He obtained an M.D. from Harvard Medical School and Ph.D. from the Harvard-MIT Health Sciences and Technology Medical Engineering and Medical Physics Program. 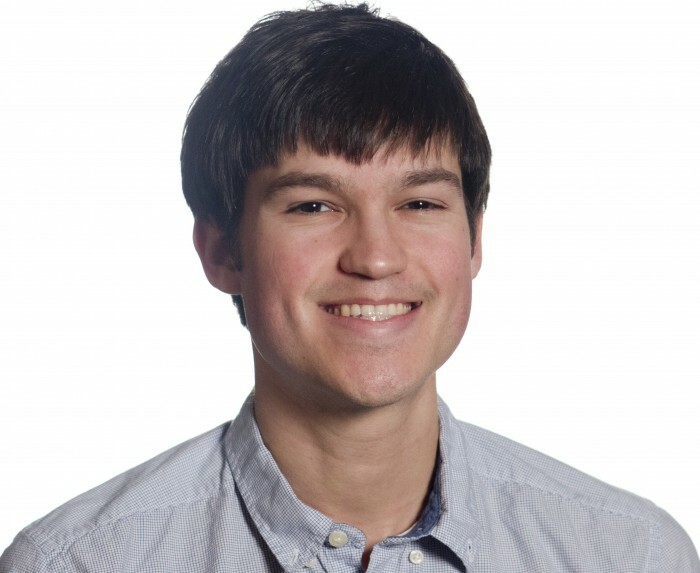 Tim has won the Lemelson-MIT Student Prize, Grand Prize in the National Inventor Hall of Fame’s Collegiate Inventors Competition, and the Leon Reznick Memorial Prize for “outstanding performance in research” from Harvard Medical School. He has also been selected as a Kavli Fellow by the National Academy of Sciences and a Siebel Scholar. Outside of the lab, Tim enjoys playing volleyball and tennis. 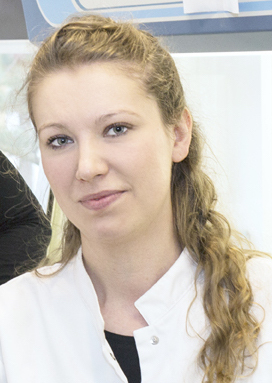 Ky joined the Lu Lab as Lab Manager in February 2013. Previously, she was a Research Scientist in the lab of Alexander Rich, where her research concerned protein members of the Z-alpha superfamily. Proteins of the Z-alpha family bind tightly and specifically to the left-handed Z conformation of nucleic acids. Members of this family play diverse roles in innate immunity, including as sensors for viral DNA and RNA, and as effectors to prevent viral replication in host cells. There are also viral members of the Z-alpha family; these proteins act as competitive inhibitors of the host Z-alpha proteins, and as transactivators of transcription that prevent the cellular defense against viruses. My name is Sebastien Lemire. I am French borne in Normandy close to Rouen. I have obtained my PhD in microbiology and bacterial physiology from the university of Paris XI Orsay in the laboratory of Lionello Bossi. I was then studying the genetic regulation of Salmonella prophages and their role in the spread of virulence factors. I then moved on to Osaka in the laboratory of Tetsuro Yonesaki to study an uncommon anti-T4 mechanism and its influence on the evolution of the T-even superfamily of phages. I have spent the last 3 years in Denmark where I got in touch with synthetic biology through mentoring of two iGEM teams and started to mix my various scientific experiences into a hopefully great plan to rid humanity of bacterial pathogens through the use of engineered phages. I am married and have a wonderful 4yo son and spend as much time as I can outside hiking, trekking and biking…Although that has not been very frequent over the last years. María E. Inda, Ph.D., is a postdoctoral fellow in the Lu Lab at MIT. She is also a 2017 Pew Latin American Fellows in the Biomedical Sciences. She received a doctorate in microbiology in 2014 from the National University of Rosario in Argentina, where she worked with Drs. Larisa Cybulski and Diego de Mendoza. 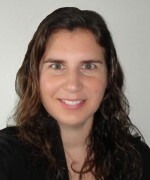 In the Lu Lab, she will work on the development of novel noninvasive strategies, for the early diagnosis and alleviation of inflammation in intestinal disorders, such as inflammatory bowel disease (IBD). A variety of bacteria inhabit healthy human intestines, and members of the Lu laboratory have been working to commandeer some of these microbes for use as “sentinels” that could patrol the gut and secrete therapeutic molecules in areas that appear inflamed. She will equip bacteria with biosensors that recognize the molecular markers of IBD—and then trigger the release of anti-inflammatory compounds. She will assess the engineered microbes’ ability to distinguish between diseased and healthy tissue and to treat inflammation in an animal model of IBD. 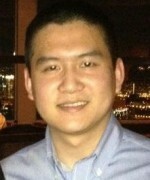 Dr. Chen is a surgeon, engineer, and multidisciplinary scientist. He received his M.D. degree and medical training (internship and surgical residency) at the Chung-Shan Medical University in Taiwan. Dr. Chen obtained his master’s degree in Biotechnology at the University of Pennsylvania and Ph.D. degree in Bioengineering at the University of Pittsburgh. 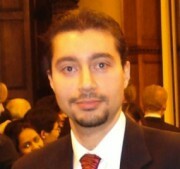 He also finished his first postdoctoral fellowship in Biomaterial at the University of Pittsburgh. 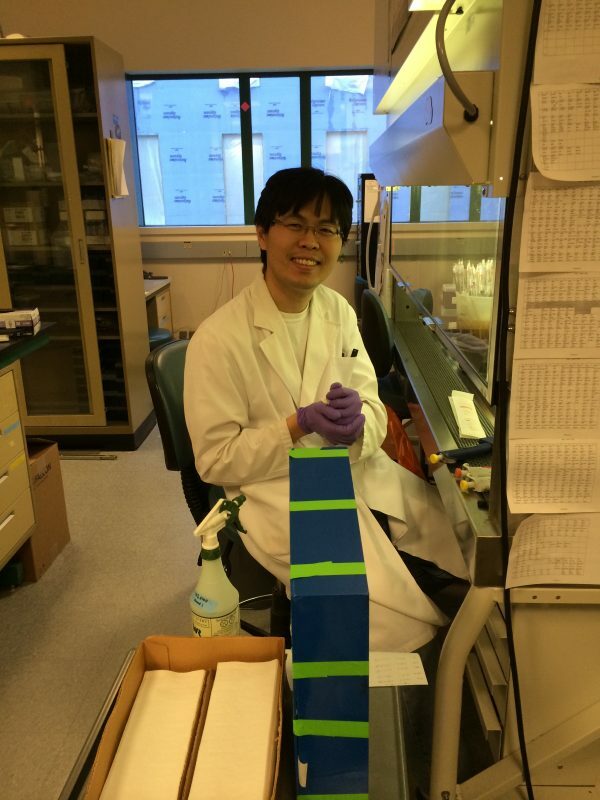 Currently Dr. Chen is in his NIH-sponsored second postdoctoral fellowship at MIT, under the co-mentorship of Dr. Timothy Lu at MIT and Dr. Anthony Rosenzweig at Harvard/MGH. 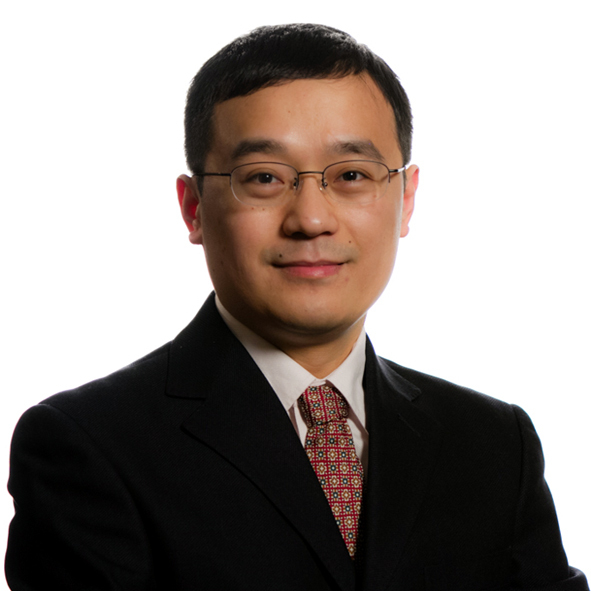 Dr. Chen’s research is focusing on the development of platform technologies for biomanufacturing and translational medicine using genetic engineering and synthetic biology principles. 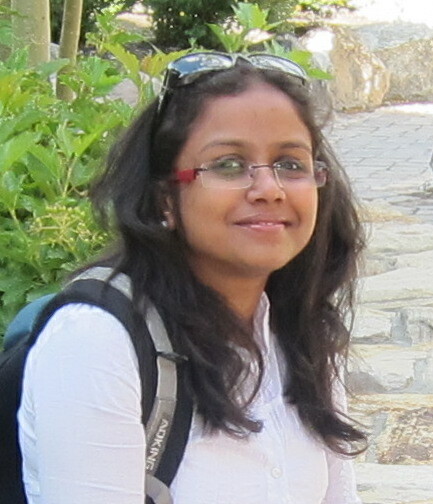 Priya is a Postdoctoral associate in the Lu Lab at MIT. She obtained her Ph.D. in Pharmacognosy and Biotechnology from University of Illinois at Chicago and Bachelor of Technology from Anna University, India. Her research interests include developing novel strategies to treat infectious diseases and engineering next-generation antimicrobials . Her current work in the Lu lab is focussed on phage engineering and building synthetic biology tool kits for pathway engineering and state machines. Outside of the lab, priya enjoys exploring new places, cooking and indian classical dance & music. She can be reached at priya89 at mit.edu. 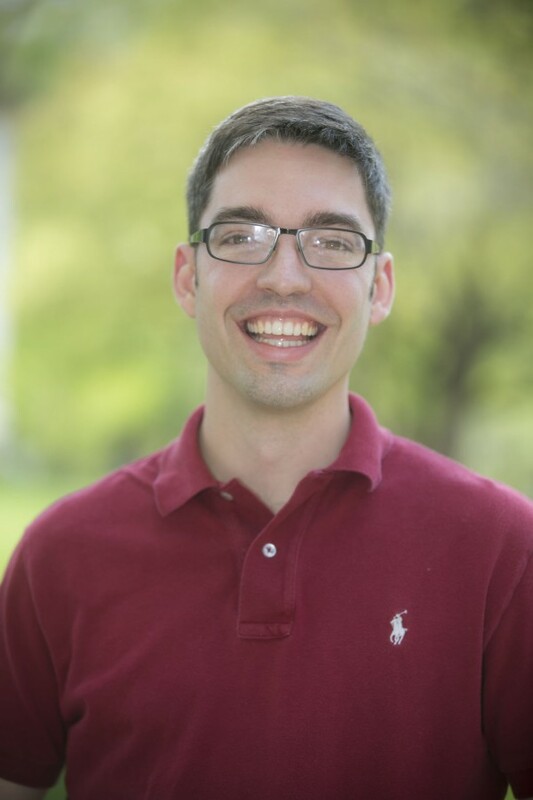 Kevin is a postdoctoral associate in the Lu Lab. He obtained his Ph.D. in Chemistry at Emory University. His research interests include gene therapy, phage therapy, gene circuits, and biological machines. His main focus in the Lu Lab is to combine the power of nanotechnology with synthetic biology to develop synergistic therapies for treating traditionally drug resistant pathogens. In Kevin’s free time, he enjoys soccer, hiking, and socializing with friends. Kevin can be reached at kyehl@mit.edu. 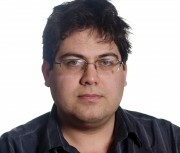 César is a Postdoctoral Associate at MIT. He obtained his Ph.D. in Microbiology and Immunology from the University of British Columbia, and received his B.Sc. and M.Sc. in Biotechnology at University of Leon. His research interests include engineering biologically-inspired small peptides as novel antimicrobial agents and as modulators of innate immunity. César’s research investigates the development of these therapeutics to combat antibiotic-resistant infections that are currently untreatable. 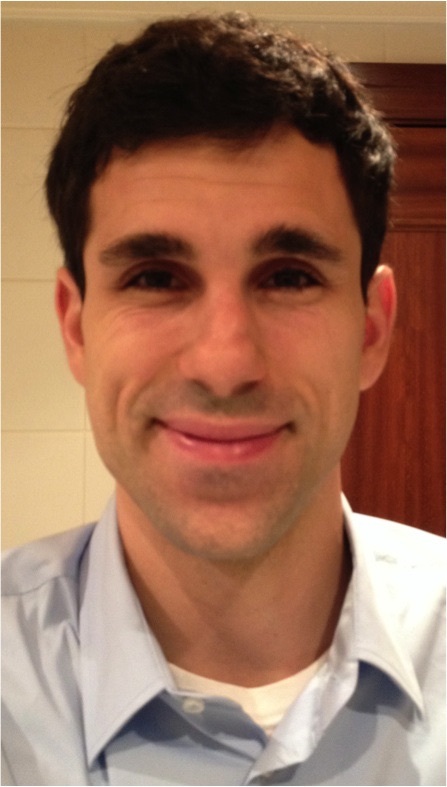 In addition, César is interested in developing disruptive platforms that enable high-throughput peptide synthesis. 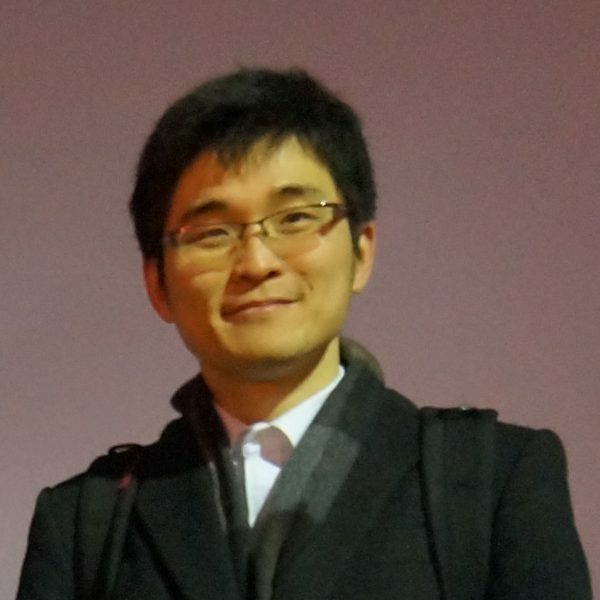 Jicong is a postdoctoral associate in the Lu lab at MIT, where he combines synthetic biology approaches and chemical engineering principles into the biologics manufacturing process. He received his B.Sc. in Biological Engineering from Tianjin University and his Ph.D. in Chemical Engineering from Rensselaer Polytechnic Institute in Troy, NY. During his Ph.D., he developed new optogenetic systems to control gene expression at the translational level. Currently, he is engineering CHO cells to accelerate therapeutic proteins production and developing an integrated bioprocessing platform to produce combination biologics. 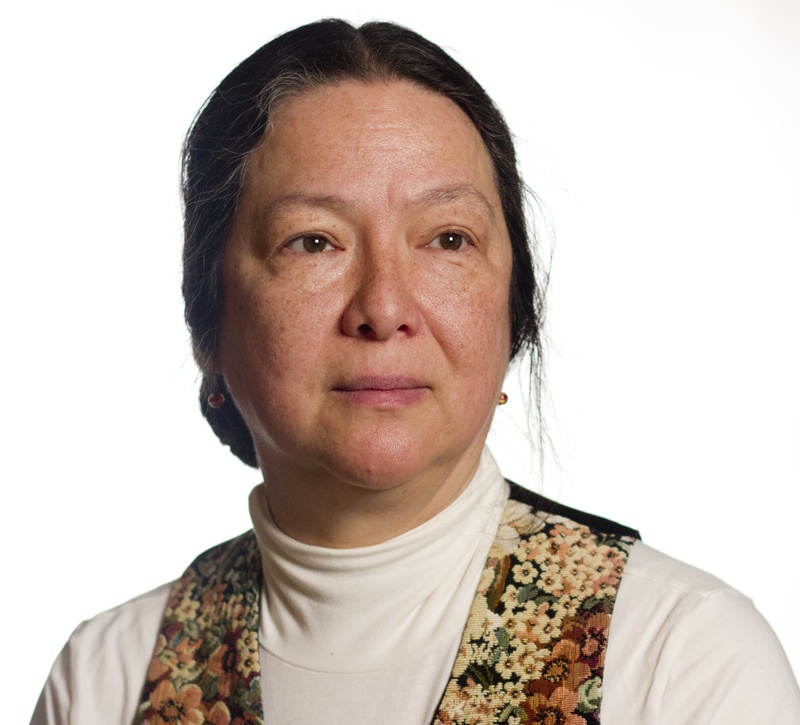 Being a member in the community of eukaryotic synthetic biology, Ying-Chou is excited to use engineered tools to explore complex biological systems. He is developing combinatorial strategies for a wide range of genetic screens, including aging and neurodegenerative disorders. In the future, Ying-Chou would like to pursuit in a career in improving medical diagnostics and therapeutics. Aside from research, he enjoys exploring the nature by hiking and skiing. 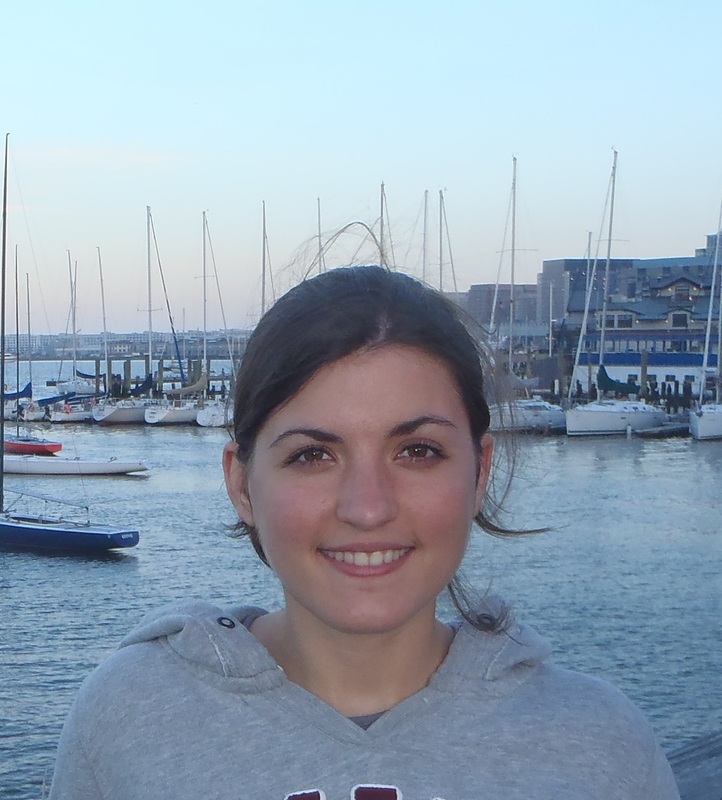 Barbara is a postdoctoral associate in the Lu lab at MIT where she is using gene regulatory circuits and synthetic biology to engineer mammalian cells. She received her B.Sc. from the University of British Columbia in Vancouver, Canada, and her Ph.D. in Developmental Biology from Baylor College of Medicine in Houston, TX. During her Ph.D., she studied how gene regulatory networks control cell fate in the eye, using the fruit fly (Drosophila melanogaster) as a model system. In the Lu lab she is now engineering mammalian cell genomes to improve production of therapeutic proteins such as antibodies. Outside the lab she enjoys reading and karate. 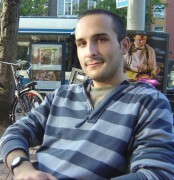 Lior joined the group in Oct 2011. His main interest is implementing synthetic biology for therapeutics. He received his B.Sc. Degree (biology) from Tel-Aviv University. In his M.Sc. (Department of Molecular Cell Biology, Weizmann Institute of Science) he studied Fas dependent gain of function of mutant p53. 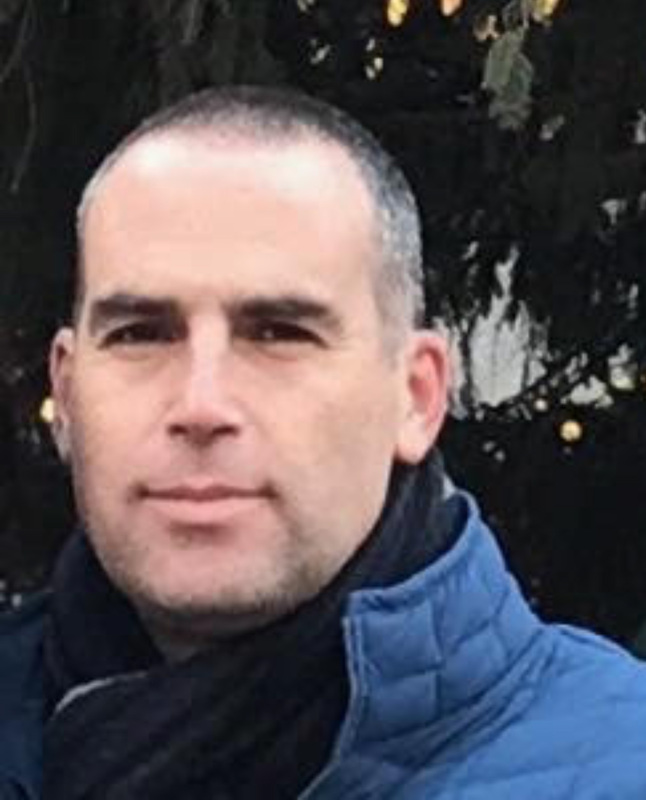 During his Ph.D. (Department of Materials and Interfaces, Weizmann Institute of Science, Rehovot, Israel), he developed a dual-promoter integrator (DPI), a synthetic gene circuit which identifies and target cancer cells according to the integrated activity of two pre-determined promoters. His Ph.D. work was patented by Weizmann Institute of Science. Outside the lab Lior is interested in cooking, surfing and Ninjitsu. 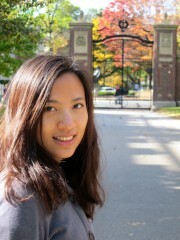 Tzu-Chieh is a PhD student in the Department of Biological Engineering at MIT. He graduated with a B.S. in Life Science from National Taiwan University. Upon completing his military service in the R.O.C. Air Force, he worked as a research assistant studying yeast prion biology at Academia Sinica, Taiwan. He then discovered his interests in biologically inspired engineering and earned his Master’s degree in Materials Science and Engineering from Masdar Institute, Abu Dhabi, where he researched the hydrophobicity of biomolecules and biosystems using atomic force microscopy (AFM). He is currently working on combing synthetic biology and materials design into the developing of living functional and structural materials. Allen graduated with an A.B. in Chemistry and Physics from Harvard and received an M.Phil. in Chemistry from Cambridge. 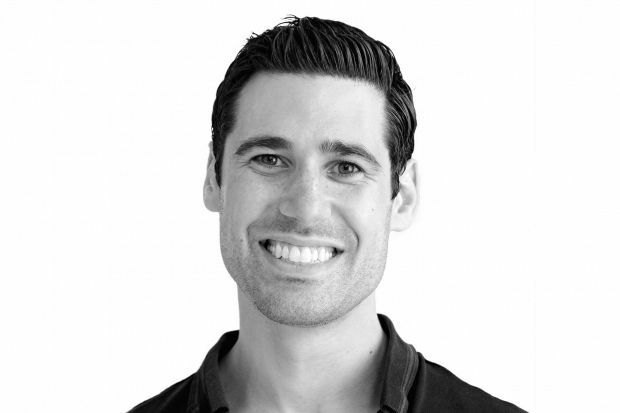 Currently, Allen is an M.D.-Ph.D. student in the Harvard-MIT Health Sciences and Technology Program, and is interested in engineering synthetic biology systems with potential biomedical applications. 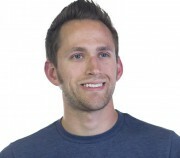 His non-work pursuits include traveling, basketball, and attempting to do improv comedy. 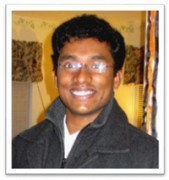 Fahim is a PhD candidate in Microbiology Program at MIT. He earned his Bachelor and MSc degrees in Biotechnology from University of Tehran, Iran. His previous research experiences include study of glucose signaling pathway in yeast, fermentations and microarray data analysis. His research interests range from building new tools for synthetic biology to modeling signaling pathways and regulatory networks. Currently, he is developing a synthetic receptor system in yeast for sensing extracellular synthetic ligands. 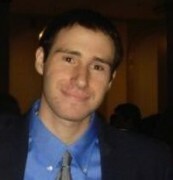 Sam was a former graduate student who worked with Prof. Timothy Lu. Please visit Sam’s current webpage here. Sam finished his Ph.D. working with Prof. Timothy Lu in the department of Electrical Engineering and Computer Science department at MIT. Prior to his foray into Synthetic Biology, Sam earned a Bachelors degree in Electrical Engineering from IIT Madras and a Masters degree in Computer Science from MIT. As an undergrad, he won the best paper award at IEEE COMSWARE 2008 and received an Institute Silver Medal from IIT Madras. He is also a Kailath Fellow and a former MIT Presidential Fellow. Besides research, he enjoys playing the guitar, badminton and cooking. Rob completed his undergraduate studies in microbiology at the University of New Hampshire, where he studied toxin production in EHEC. Upon graduating, he decided to continue in the field of pathogenic bacteria as a research assistant in the Infectious Disease department at Massachusetts General Hospital exploring virulence factors in Salmonella and Vibrio cholerae. Three years later, he found himself a PhD candidate in Microbiology at MIT where he is seeking to work somewhere at the interface of synthetic biology and infectious diseases, with particular interests in both antibiotic resistance and enteric pathogens. Outside of academia, Rob enjoys running, hiking, and mixed martial arts, as well as weekend trips back to the clean air of NH where syrup is simply assumed to be pure maple. 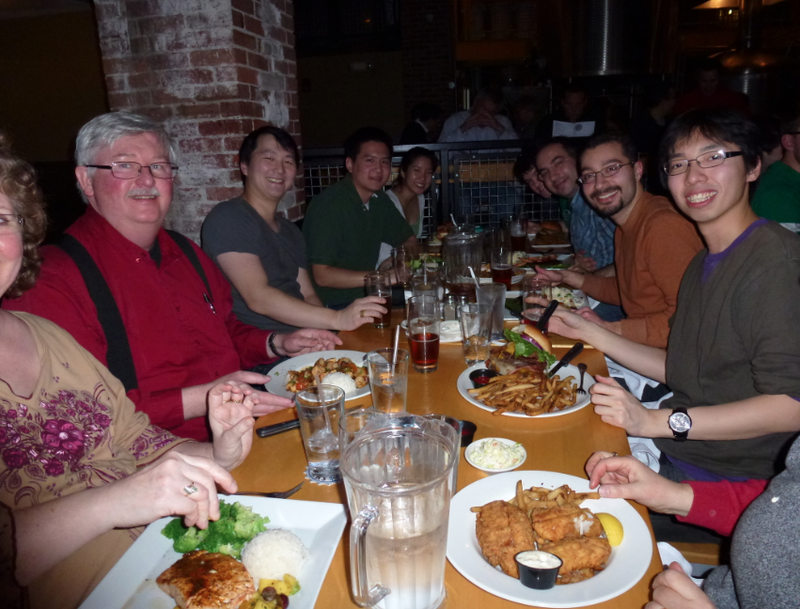 Mark is a member of the Microbiology Graduate PhD Program at MIT. He earned his B.Sc. in Microbiology and Immunology from McGill University, where he pursued undergraduate research on characterizing virulence factors in EHEC and EPEC. Mark came to MIT with a strong interest in applying synthetic biology techniques to develop new tools to combat bacterial pathogens and other infectious diseases. Outside of the lab, Mark enjoys cooking and laying down a groove on his double bass. Nathaniel received a B.A. in Physics from Princeton University in 2011. Currently he is a Ph.D. student in the Harvard Biophysics Program. He is interested in phage therapy and, more broadly, the medical applications of synthetic biology. 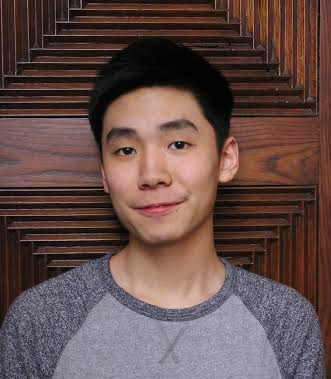 Outside of lab, Nathaniel likes to longboard and play basketball and squash. Agnieszka is a visiting grad student from Poland. 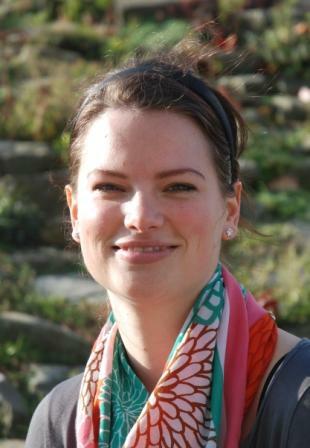 She is doing a joint PhD under the supervision of Zuzanna Drulis-Kawa at UWr (Poland) and Yves Briers at UGhent (Belgium). In the Lu Lab she is learning how to use the phage engineering platform to integrate chimeric proteins into phage virions, to modify their host range. Her fascination with the topic of bacterial viruses, including phage therapy, phage-biofilm interaction and capsule depolimerizing phage-encoded proteins, started during her bachelor studies at the UWr. What she really likes doing outside the lab is dancing salsa and enjoying nature. Marcelo is a visiting PhD student at MIT. He obtained his M.Sc. in Chemistry and Technology, and both his B.Sc. in Chemistry and Science/Technology from the Federal University of ABC (Brazil). His research interests include designing, synthesizing and evaluating biologically-inspired small leucine-rich peptides as novel antimicrobial and antibiofilm agents. Marcelo’s research investigates the development of some designing approaches towards biological activities and their peptides as therapeutics to combat infections. In Marcelo’s free time, he enjoys playing soccer, video games, and hanging out with friends. I am finding ways to create building materials and environments that improve human health. At the Lu Lab, I am engineering bacteria to grow a building material that continuously generates a population of phage lysins to infect surface adherent Salmonella, among other pathogens. Ideally, the building material will be tunable to different surface-adherent pathogens. In the future, I hope to pioneer the field of architectural immunology and re-frame how we think about medicine. Tommy is a visiting scientist in the Lu lab. He obtained his M.D. and Ph.D. from the University of Tokyo. He has been working on percutaneous coronary intervention as a clinical cardiologist and heart failure as a basic scientist. Tommy’s current work in the Lu lab focuses on building therapeutic gene circuits for lifestyle-related diseases. Outside of the lab, he enjoys playing basketball and football. Tommy can be contacted at tommyh@mit.edu. Sara joined the lab in September 2012, aiming to apply principles of synthetic biology to the world of small natural products. She became passionate about this topic during her doctoral studies in Roberto Kolter’s lab. Sara received a Ph.D in Chemical and Biological Engineering from the University of Minho (Portugal), in collaboration with Harvard Medical School. Sara is now a scientist at Zymergen. 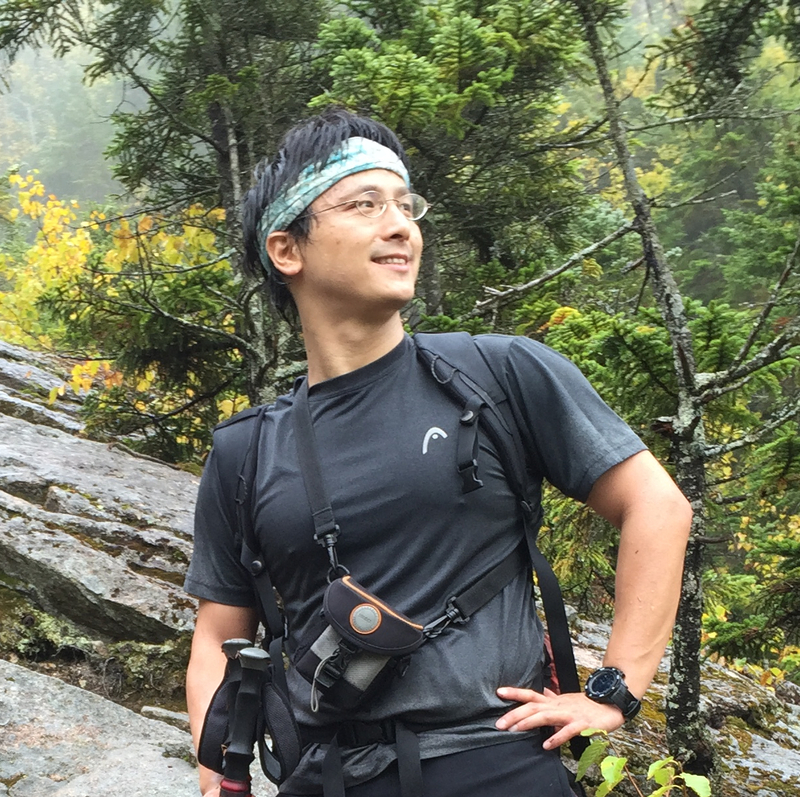 Hiroki joined the Synthetic Biology Group in July 2012 as a JSPS Postdoctoral Fellow. He was interested in applying synthetic biology techniques to combat bacterial infectious diseases. 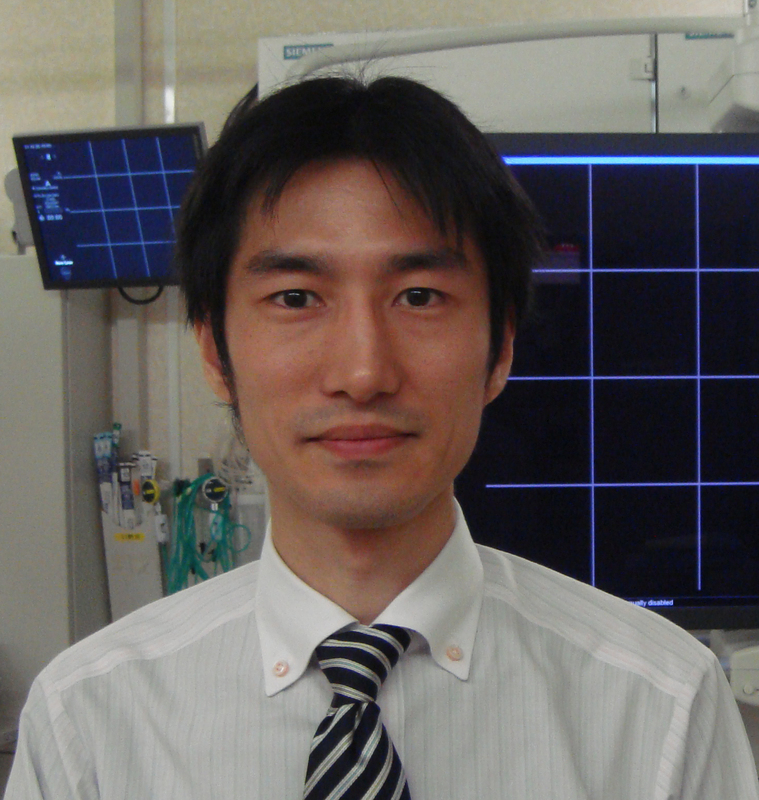 Hiroki received his PhD in Medical Science from Osaka University in 2007. Prior to MIT, he worked as a Senior Research Fellow in the National Center for Global Health and Medicine, Tokyo. He studied about novel isoniazid resistance mechanisms in Mycobacterium tuberculosis. Outside of the lab, Hiroki likes to snowboarding, carp fishing, and taking a photo of cut-out board (see my photo, taken in Sapporo Beer Garden). 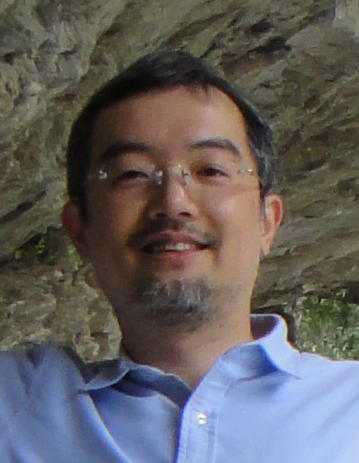 Hiroki is now an assistant professor at Gifu University (Japan). Oliver received a BSc. in Molecular Biology and MSc. in Bioinformatics from the University of Manchester, and an MRes and PhD in Complexity Science from the University of Bristol. He was a postdoctoral associate in the Lu lab and was interested in building synthetic gene networks with novel properties, and ultimately creating fully synthetic living systems. Outside of the lab he likes to snowboard and Scuba dive. 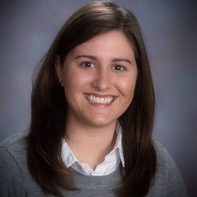 Jennifer was the Lu laboratory administrative assistant in the Research Laboratory of Electronics. She had been with MIT for almost 3 years. She supported the laboratory personnel with purchasing, accounting procedures, Institute procedures, while coordinating events for the Synthetic Biology Center. Jennifer attended UMASS Boston for English, and enjoys reading and skiing outside of the lab. 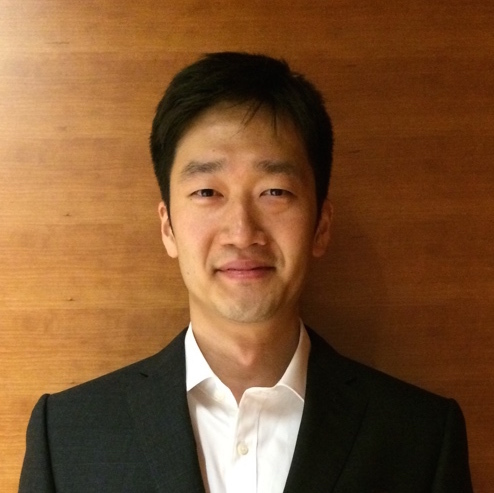 Hyunjun is passionate about using biology to address some of the most complex challenges we are facing. Areas of interest include antibiotic resistance, environmental bioremediation, and sustainable bioproduction. Hyunjun received a BS in Biological Sciences from Seoul National University and a PhD in Microbiology from the University of Wisconsin-Madison. He as a postdoctoral associate in the Lu Lab, applying cutting edge tools of synthetic biology to the field of natural product biosynthesis. Gigi received her PhD in Medical Sciences from Chinese University of Hong Kong. She was currently a post-doctoral associate in the Synthetic Biology Group. She was interested in building higher-order synthetic gene networks and analyzing effects of these networks in mammalian cell system. 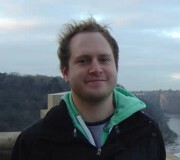 Alan joined the Synthetic Biology Group in September 2012 as a Croucher Postdoctoral Fellow. He received his B.Sc. and M.Phil. degrees in Biochemistry and Molecular Biotechnology from the Chinese University of Hong Kong, and earned his Ph.D. in Biochemistry at the Hong Kong University of Science and Technology. During his studies there, he took molecular and genetic approaches to study signaling mechanisms underlying neurodegenerative disorders, including Parkinson’s disease and polyglutamine diseases, as well as learning and memory. His work was published in international journals including Nature Cell Biology and Nature Neuroscience. Alan was awarded the Butterfield-Croucher Award and Hong Kong Institution of Science Young Scientist Award in Life Science. He was also selected as a Croucher Fellow and a Sir Edward Youde Fellow. 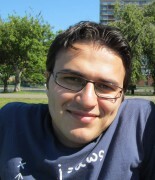 Bijan was a post-doctoral associate in the Synthetic Biology Group at MIT. He received his HBSc in Biochemistry from McMaster University, where he conducted research in Gene Therapy and developed a new class of oncolytic viruses. Then he earned his MSc in Chemical Biology at McMaster University, where he developed next-generation semi-synthetic antibiotics. Subsequently, he received his PhD in Biochemistry at the University of Oxford as a prestigious Clarendon Scholar and St. Peter’s College Born Scholar. 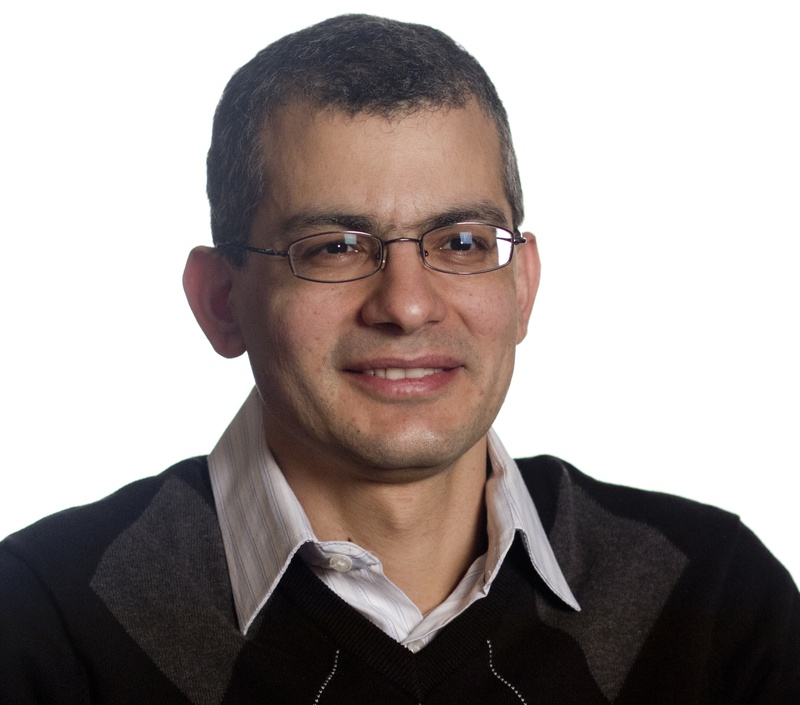 While in Oxford, Bijan specialized in bionanotechnology and invented a versatile new class of peptide tags which bind their target via a spontaneous and irreversible covalent bond (the Isopeptag and SpyTag peptide tagging systems). These ‘Molecular Super-Glues’ were inspired by flesh-eating bacteria and have received much media attention. Bijan’s scientific interests are to use interdisciplinary approaches to develop innovative technologies and therapeutics. 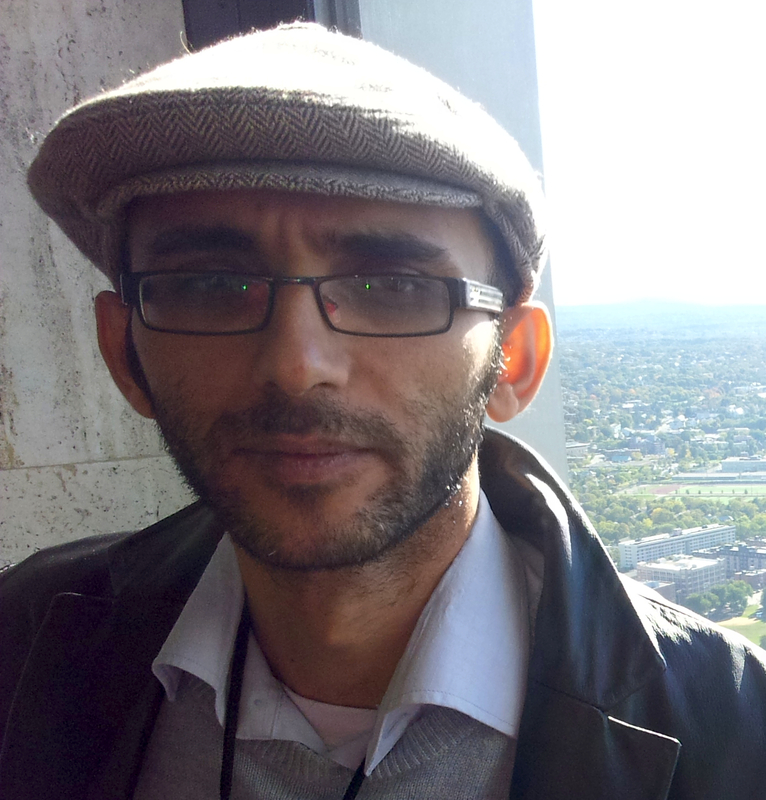 For any inquiries and collaborations, Bijan can be contacted at: zakeri@mit.edu. Lindy is an undergraduate student at Hong Kong University of Science and Technology majoring in Biochemistry and Cell Biology. She joined RLE Synthetic Biology Group in 2015 under the MIT-HKUST IROP program. She was interested in protein engineering and gene circuits research. 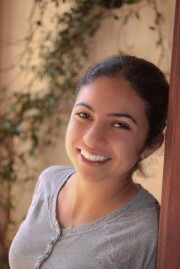 Other than synthetic biology, her research interest also includes neuroscience with focus in memory and learning. Outside the lab, Lindy enjoys traveling and musicals. 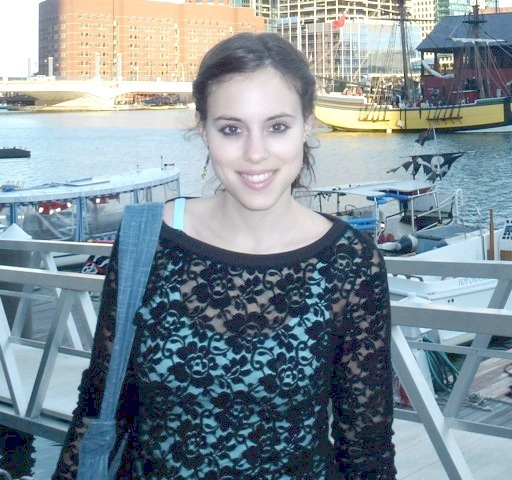 Ava was an MIT undergraduate majoring in Computer Science and Molecular Biology. She is interested in the computational aspects of synthetic biology and its medical applications. Outside of lab, Ava competes on the varsity tennis team, is involved with leadership initiatives on campus, and enjoys running along the Charles. Tomi is an M.D. 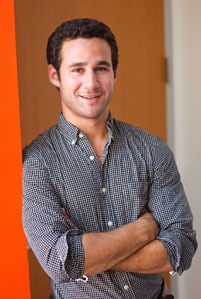 student in the Harvard- MIT Health Sciences and Technology program. He received his B.A. in Biology from Dartmouth College, where he worked on the molecular biology of iron homeostasis in Arabidopsis. Broadly, he is interested in manipulating biological systems to do useful things in human health. 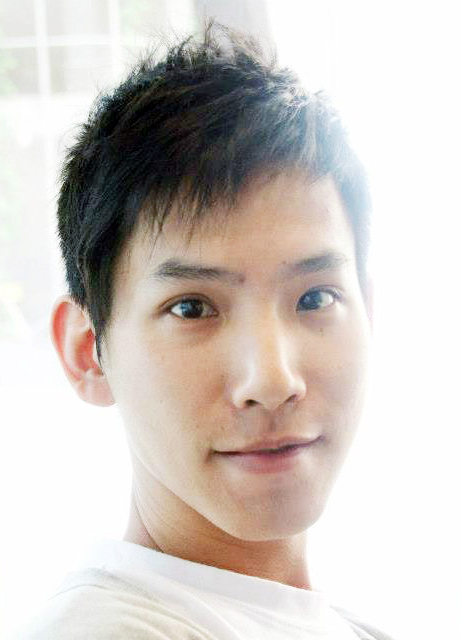 Being from Singapore, he has a particular interest in applications relevant to health in Southeast Asia. In the Lu Lab he worked on developing tools to study host-microbe interactions in the gut. Elise was a master student at Ecole des Mines ParisTech with a major in biotechnology. 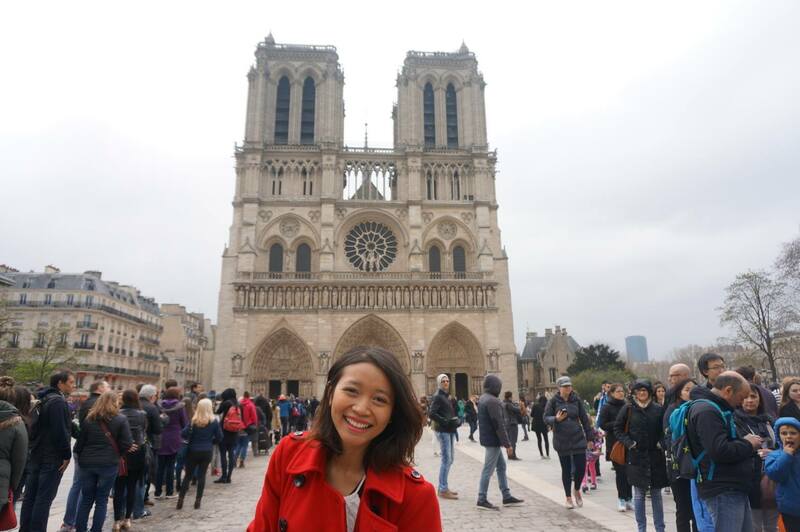 She previously graduated from ESPCI ParisTech where she studied chemistry and biology. Her previous research experiences includes medicinal chemistry for drug discovery at J&J and research on nanoparticles for targeted drug delivery at the Koch Institute. During her master studies she developed a keen interest for synthetic biology with biomedical applications, especially in phage therapies. She joined the Lu Lab to work on the development of new phagemid scaffolds for efficient DNA payload delivery and is currently a Ph.D. student in the Institute Pasteur (France). 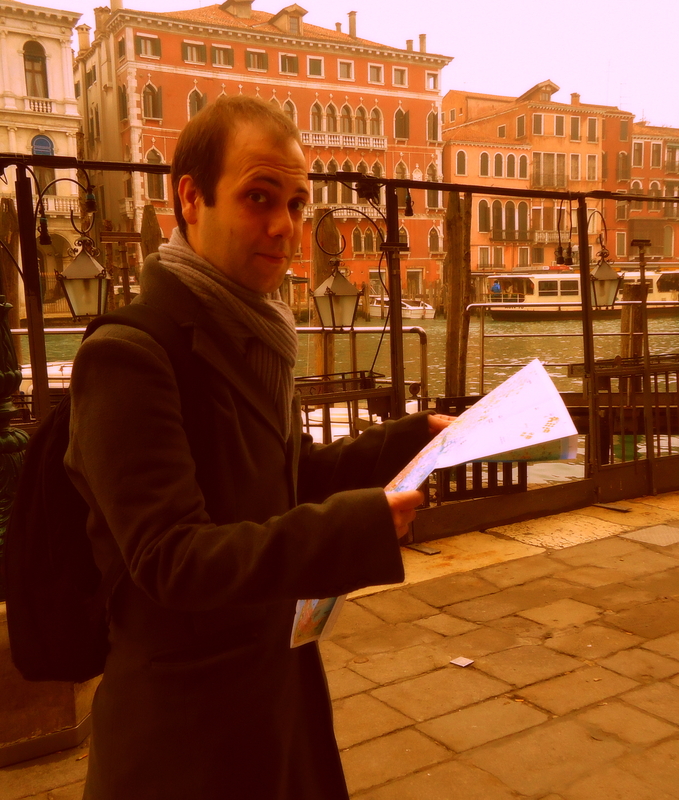 Gianluca graduated in 2010 from the University of Bologna, Italy; with specialization in Biomedical Engineering. His master thesis focused on developing algorithm for analysis of fluorescent images to extract single cell data. He has also participated in iGEM working with binary memory of cellular stress in E.coli. 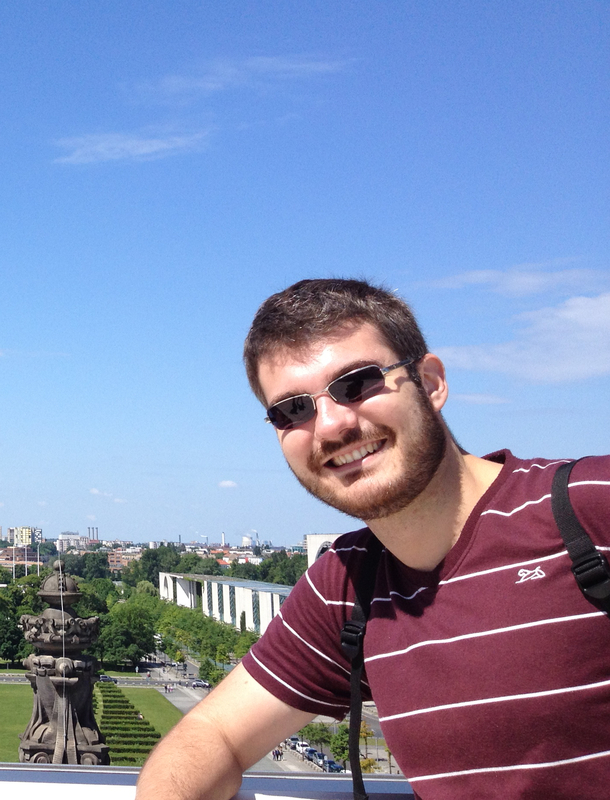 Gianluca started his PhD in 2011 at the University of Coimbra, under the MIT Portugal Program. His project consisted of finding the general design principles in the design of cellular defense systems against hydrogen peroxide. He joined the Lu lab as a visiting scholar and was involved in the development of hydrogen peroxide sensors in bacterial cell systems. He is also a passionate soccer player and engages in medieval re-enactment events. Ramiz Daniel received the B.Sc. degree in electrical engineering from the Technion – Israel Institute of Technology, Haifa, in 2001 and the M.Sc. and Ph.D. in electrical engineering from Tel-Aviv University, Tel-Aviv, Israel 2010. 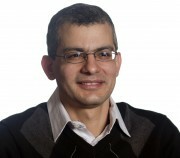 Currently he is an assistant professor at the Technion (Israel). 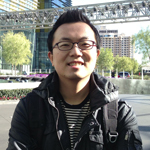 Zhengtao Deng was a RLE Translational Fellow and Postdoctoral Associate in the Lu lab at MIT from 2012 to 2014. The mission of his research was to engineer nanomaterials for improving human health and sustainability via synthetic biology and synthetic chemistry techniques. At MIT, he engineered nanomaterials for treating bacterial infectious disease and constructing “living” materials and functional devices. 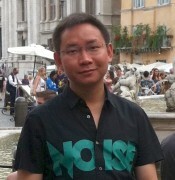 He is currently a faculty member at the College of Engineering and Applied Sciences of Nanjing University. For any inquiries and collaborations, he can be reached at dengz@nju.edu.cn. Chao joined the synthetic biology group in Feb 2012. Prior to MIT, he had been working as a postdoc in Professor Rolandi group in MSE at University of Washington, Seattle since summer 2009. Earlier than that, He earned his Ph.D. in BME from Cornell University in Aug 2009. His research interests include bioinspired materials/devices, biomineralization and synthetic biology as a novel toolbox for nanobiomaterials synthesis. He has published work in several prestigious journals like Nature Communications and Advanced Materials et al. His recent work on nanobioprotonic transistor was covered by many media reports including Materials Research Society (MRS), Discovery News, New York Times, MIT Tech Review and IEEE Spectrum. Outside the lab, chao likes travelling, tennis, music and watching movies. Chao can be reached by: zhongc@mit.edu, and more information about him can be found in his personal website. 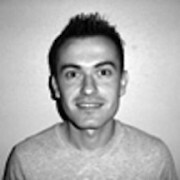 Chao is now a professor at ShanghaiTech U.
Kristjan was an undergraduate from Estonia, enrolled in the new joint degree program by the EECS and Biology departments. He became fascinated by synthetic biology after hearing about it firsthand at a talk given by iGEM director Randy Rettberg. Outside of academics he enjoys playing the drums and the accordion. Urartu Seker received his PhD from Istanbul Technical University in Molecular Biology-Genetics and Biotechnology in December 2009. During his PhD studies he was also a graduate research assistant and visiting graduate student at the University of Washington Genetically Engineered Materials Science and Engineering Center between 2004-2007. 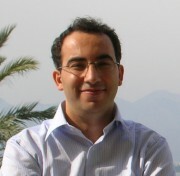 After PhD, he worked as a postdoctoral fellow in Bilkent University National Nanotechnology Research Center in Ankara, Turkey until June 2010. He has also worked as a Postdoctoral Fellow in Nanyang Technological University Electrical Engineering and Applied Physics Departments in Singapore in 2011 with Prof. H. Volkan Demir. His research interests while in the Lu Lab covered designing and implementing protein based nano-assemblies by employing tools of molecular biology and biochemistry towards biomedical-biotechnological applications.Current position: Faculty at the Bilkent University (Turkey). Michelle graduated from MIT with a B.S. in Chemical-Biological Engineering. Her interest in synthetic biology research stems from the possibility of applying engineered biological systems to biomedical applications. 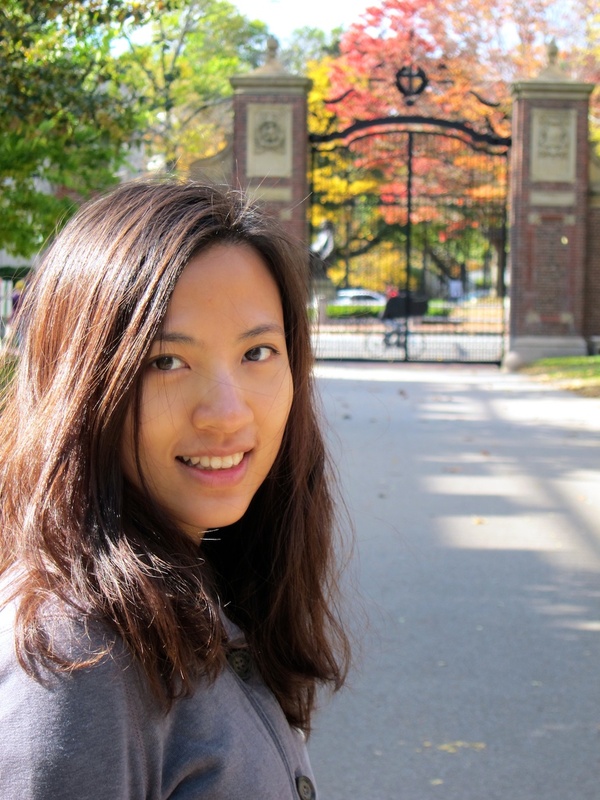 As an undergraduate at MIT, Michelle was involved in MIT’s Habitat for Humanity, American Institute of Chemical Engineers (AIChE), and Kappa Alpha Theta. She plans to pursue a future career in medicine. Jerry was pursuing his M.Eng in EECS in the Lu Lab. He earned his B.S. 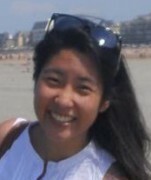 in Electrical Engineering and Computer Science from MIT and was a member of both Tau Beta Pi and Eta Kappa Nu Honor Societies. Jerry completed his senior thesis with the lab and his current research involves constructing and characterizing specificity and other properties of Transcription Activator-like Effectors. His research interests lie in engineering biological systems with biomedical applications and disease treatment. Outside of academia, Jerry enjoys sports, especially football and basketball. Aaron was a researcher in the Lu lab, where he was also responsible for facilitating the logistics of lab operation. He earned both an Sc.B. and an Sc.M. in Biomedical Engineering from Brown University. During his studies there, he participated in the iGEM competition, where his captivation with synthetic biology expanded beyond measure. The culmination of his work at Brown resulted in the design of a genetic limiter circuit that applies a unique conditional regulation scheme to a gene of interest. Aaron’s current research centers on understanding the mechanisms of amyloid formation in yeast and the ways in which this process might be harnessed for computational and therapeutic goals. 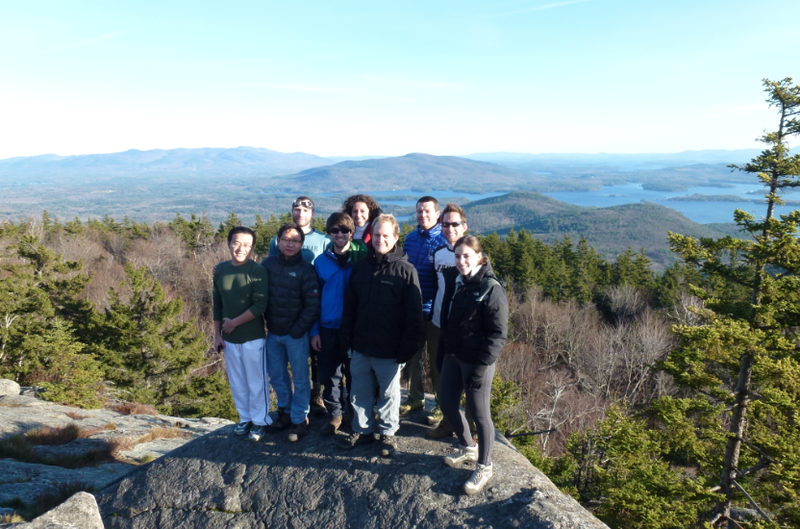 In the rare occurrence that Aaron is not in lab, he may be found honing his abilities as an outdoorsman, trekking the higher altitudes of New England. He also engages in long-distance running and teaches CPR classes. Piro received his PhD from University of Tennessee/Oak Ridge National Laboratory where he worked on Nano-enabled synthetic biology: A cell mimic based sensing platform for exploiting biochemical networks. 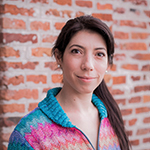 Piro joined the synthetic biology group in October 2011 and is interested in using single invertase memory modules for building memory and recording events during the lifetime of the cell. Chris came to MIT after graduating from Seoul Science High School. He was a silver medalist in the 2007 International Chemistry Olympiad held in Moscow and a member of Korean National Chemistry team. 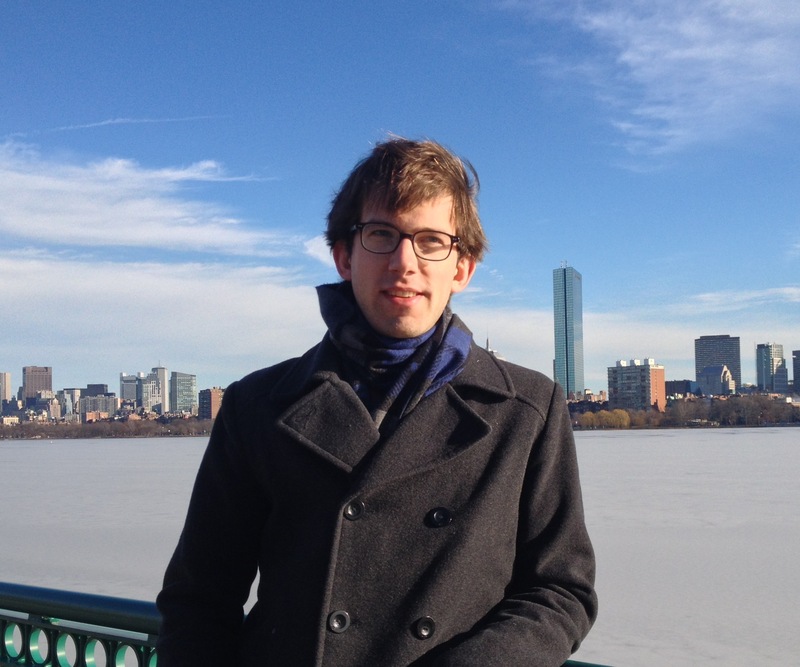 His previous research experiences include research in the Langer Lab at MIT. Outside school, Chris grew up as a kid who loves everything about soccer. He is looking forward to becoming an M.D.-Ph.D after receiving his bachelors degree in Chemical-Biological Engineering. Michele was a visiting student at MIT and he is in his M.Sc. in Materials Engineering. He received his B.Sc. in Materials Engineering from Politecnico di Milano (Italy) in 2009 and has studied in TU Delft (The Netherlands) as an UNITECH exchange student in 2010/2011. He also have studied and worked for shorter periods of time in ParisTech (France), ETH Zurich (Switzerland), Trinity College Dublin (Ireland) and Chalmers University (Sweden). In Lu Lab he is working on mechanical characterization of bio-derived materials, mainly in the nanoscale, seeking for potential applications. Besides research, he swims with MIT Masters and enjoys travelling. 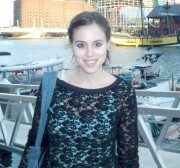 Sanna was a visiting postdoctoral fellow at the MIT Synthetic Biology group. She received her M.Sc. degree in Environmental Technologies, in 2004, and Ph.D. degree in Biological and Chemical Engineering, in 2008, from the University of Minho, Braga, Portugal. 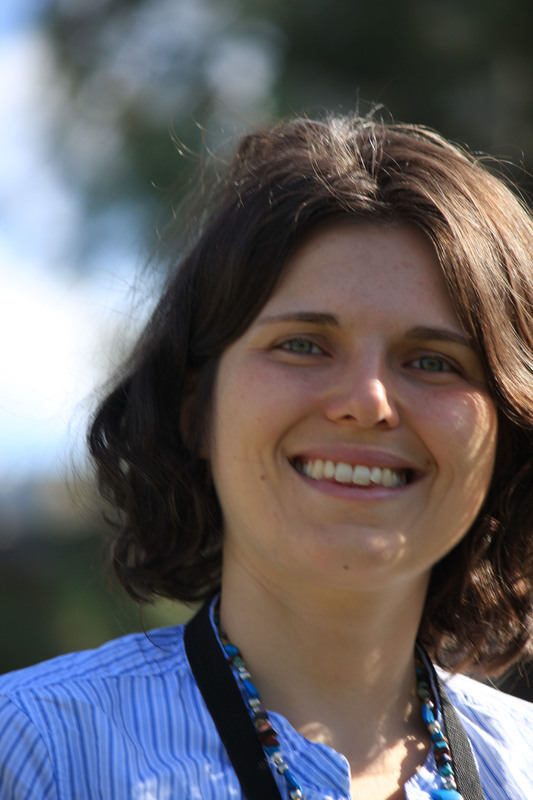 She is a postdoctoral fellow in the Institute of Biotechnology and Bioengineering-Centre of Biological Engineering within the Uminho Biofilm and the Bacteriophage Biotechnology groups. Her research interests are in developing bacteriophage and bacteriophage-based alternatives for the control of clinically relevant biofilms. She enjoys playing volleyball, travelling and hiking. Mahdi graduated with a Doctor of Pharmacy degree from Tabriz University, Iran, where he worked on novel drug delivery systems especially delayed release capsules working based on osmosis. His keen interest in molecular genetics and genetic engineering and their biomedical applications encouraged him to pursue education in this field. Recently Mahdi completed a Master’s program in Biotechnology at Uppsala University, Sweden, and he is now doing a research internship at Synthetic Biology group. During his master thesis, he investigated the kinetic role of two non-coding RNAs in E. coli regulatory networks. Besides research, He enjoys swimming and rowing. Feel free to contact him (mahdiz@mit.edu), if you think he can help you. 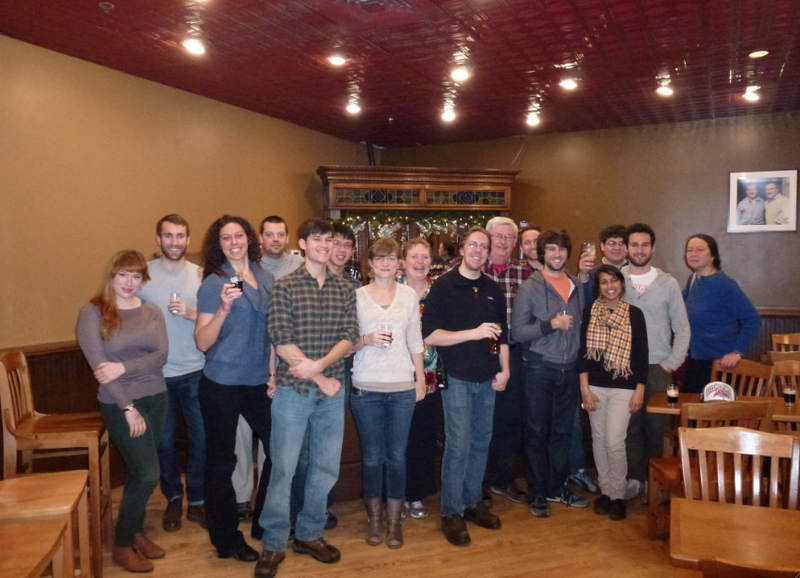 Here comes our first group pic, in which Chris and some group members had taken a photo together upon his graduation.